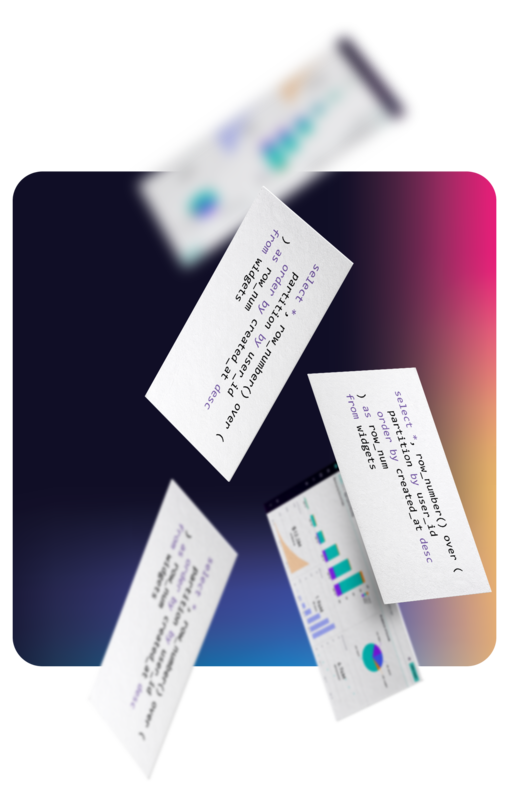 Instantly explore your data and build dashboards to answer critical questions — no coding required. Waiting days to access data needed to make critical business decisions? Periscope Data allows business teams to access their data immediately to discover actionable insights. 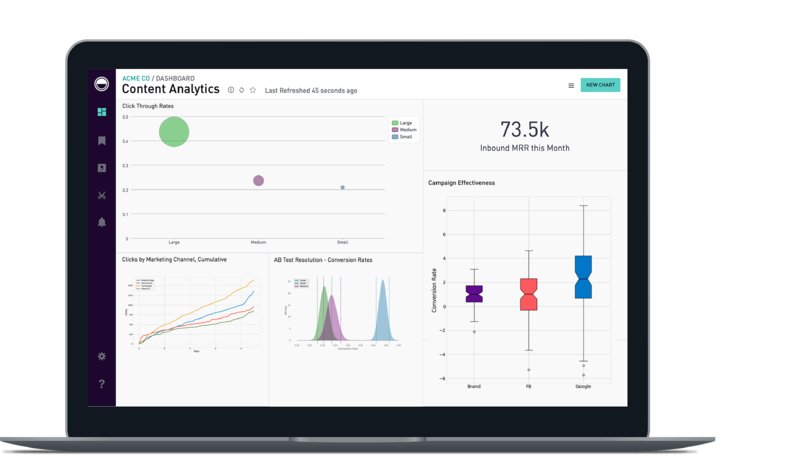 Easily explore data, perform basic calculations and aggregations, create rich visualizations and share dashboards using a visual, drag-and-drop interface. 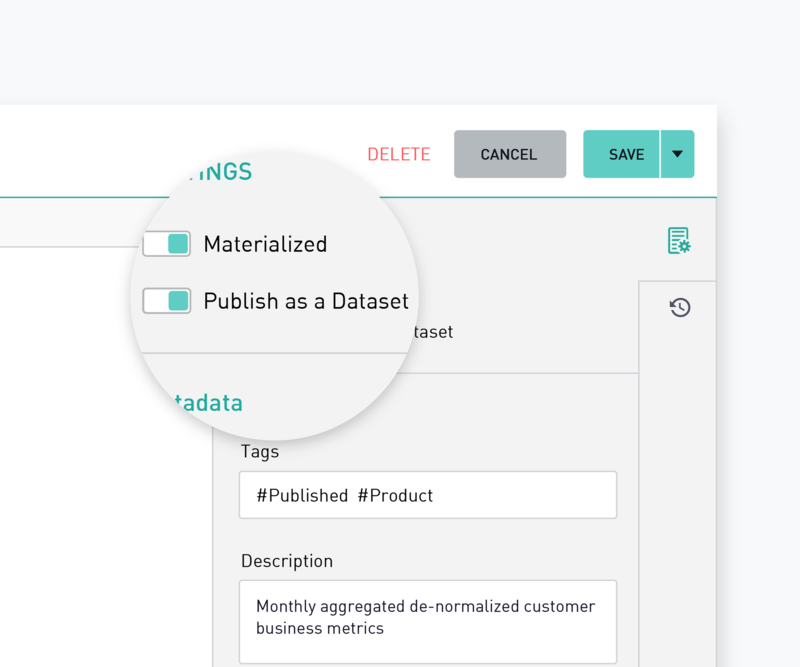 Democratize data while maintaining the integrity of your data by enabling everyone to use datasets prepared by your data experts. 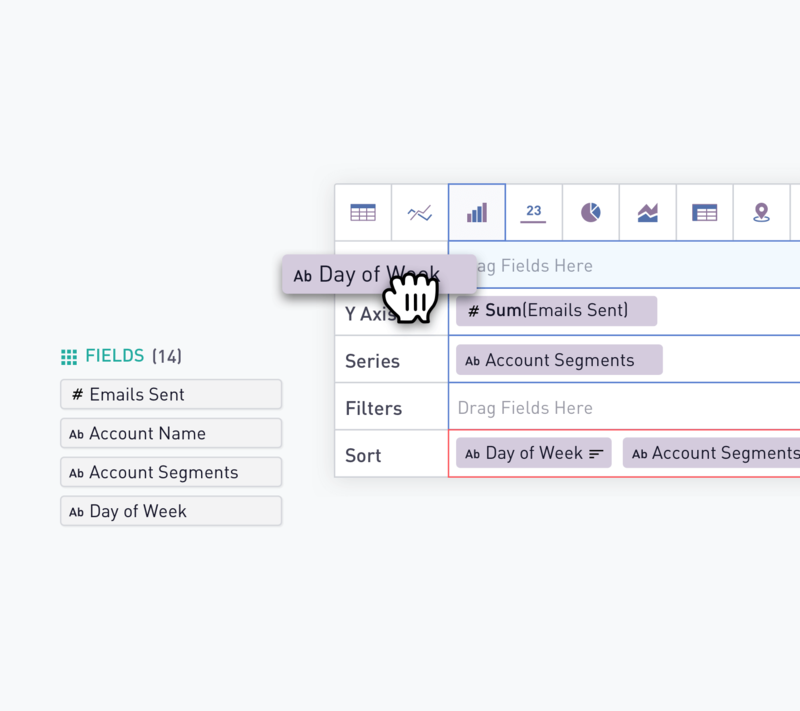 Periscope Data allows data teams to query both modeled and raw data so you can answer complex and ambiguous business questions without having to rebuild any upfront models. 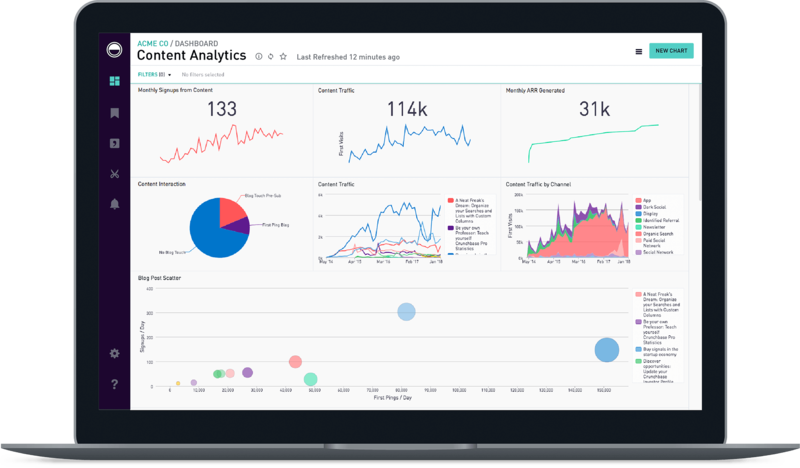 That means business teams can get insights quickly without needing to wait for days or weeks even if the source data or assumptions have changed.